Dr. Karen Glerum is originally from the Baltimore, Maryland area. She holds a degree in Biology from Loyola College in Maryland. She graduated, near the top of her class, from Georgetown University School of Dentistry. After graduation, Dr. Glerum came to Florida to pursue advanced residency training at the Miami Veterans Hospital and Jackson Memorial Hospital. Only 10% of dental graduates in the country are accepted to such advanced training. Dr. Glerum established her own practice soon after residency and began serving the Boynton/Delray community in 1992. Her practice thrives because of its personal service, and commitment to excellence. Dr. Glerum and her staff attend over 200 hours of continuing education each year, and are dedicated to learning the most advanced and well-proven techniques and technologies available. Dr. Glerum is a member and mentor to local study clubs, and frequently presents advanced cosmetics techniques to local colleagues. She believes that to be an exceptional dentist, one must be a “life-long learner”, and practices what she preaches! Dr. Glerum has completed the curriculums of the Dawson Center for Advanced Dentistry, The Pankey Institute, and The Spear Center for Advanced Dental Education (www.speareducation.com). Her advanced education focuses on aesthetics as well as the proper function of the mouth. She is an expert at not only making smiles beautiful, but making them LAST! In addition to her own continuing education, Dr. Glerum has taught many other dentists cosmetic techniques at the highly sought after Aesthetic Advantage Institute. Dr. Glerum serves the Florida Board of Dentistry as an Expert Reviewer. She helps the board adjudicate cases in which dental treatment is questioned; she therefore knows how to give her patients dental excellence! Dr. Glerum also believes in giving back to her profession and the public. She was the only woman dentist to ever serve our community as the President of the South Palm Beach County Dental Association. She recently served as President of the Atlantic Coast District Dental Association, and she is a Trustee of the Florida Dental Association. Dr. Glerum both works and lives in the Boynton Beach area. She is the proud Mom of two daughters. In her spare time, Dr. Glerum enjoys reading, cooking, working out, travel, and most of all being a Mom! After all, motherhood and dentistry are very closely related; both require patience, knowledge, and compassion. She is proud to be a woman dentist in Boynton Beach. 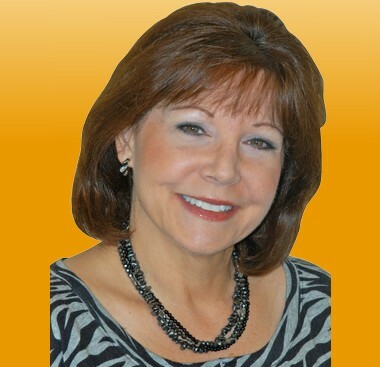 Dr. Karen Glerum Member Highlight from Florida Dental Association on Vimeo.